Bill's Crestmoor Automotive is a family-owned and operated auto repair shop with husband and wife team, Bill and Chris Probst, at the helm. Chris makes sure the shop is warm, welcoming, and comfortable, while Bill brings more than 40 years of auto repair experience to every job, big and small. The Probsts have served generations of Denver families, and look forward to serving many more. Get a complimentary courtesy inspection with your oil change! We partner with Synchrony Financial, Snap, and EasyPay, consumer credit card programs that can help you get the repairs, maintenance, tires, wheels, parts, and accessories you need (and want!) today. At Bill's Crestmoor Automotive, we’re qualified and equipped to service all types of domestic and import vehicles, from your trusty Ford truck to your luxury German sedan to your efficient Honda—and everything in between. Our mechanics pride themselves on honesty and quality, and stand behind our work. We are strong supporters of our military and appreciate every customer that comes in the door. Many of our customers have brought their vehicles to Bill since 1974! If that’s not loyalty, we don’t know what is! You can count on Bill’s for the basics and the tough stuff! We take pride in offering superior customer service at Bill's Crestmoor Automotive. It’s very important to us that our customers feel comfortable and cared for with personal touches like clear, honest explanations of necessary services, and a ride to or from the shop when needed. 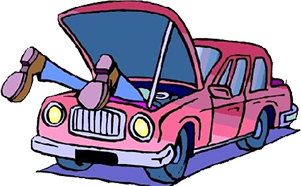 If your car has broken down, please call us for a towing referral from a company we trust. 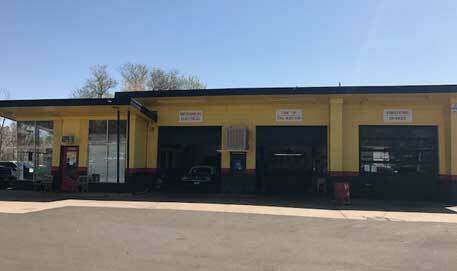 Our auto repair shop is conveniently located at 1904 S. Holly Street in the Virginia Village neighborhood of Denver. If you’re looking for a mechanic, we’re near I-25 and Evans, at the southeast corner of Holly and Jewel. Our customers come from all over the Denver area, including Aurora, Lakewood, Englewood, Glendale, Arvada, Thornton, and Westminster. Help us carry forward a family tradition of quality auto repair in Denver by bringing your vehicle to Bill's Crestmoor Automotive. Serving Denver, CO and surrounding areas, including Arvada, Aurora, Denver area, Englewood, Glendale, Lakewood, Thornton, and Westminster.